An upcoming rapper took his chance when he spotted Kanye West walking home with Kim Kardashian in New York. 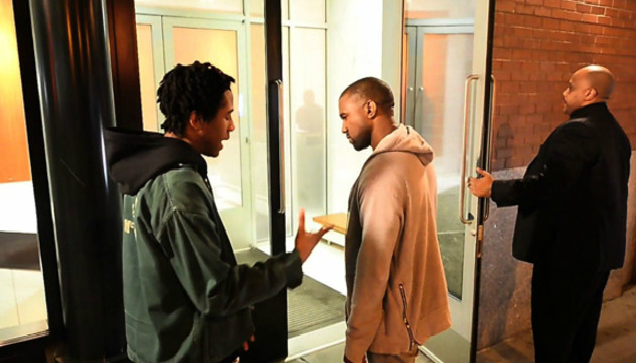 The upcoming rapper freestyled for Kanye who listened attentively before entering the building. Check out the video below. Also, if you are an upcoming rapper and need a platform to be heard you can visit RisingHype.com. It’s that time of the week again to highlight another upcoming artist. This week’s Rising Artist Of The Week as voted for by users of our partner site RisingHype goes to Mav of Sol camp for the video to “Roll up” featuring Zig Zag. Check it out above and let us know what you think?